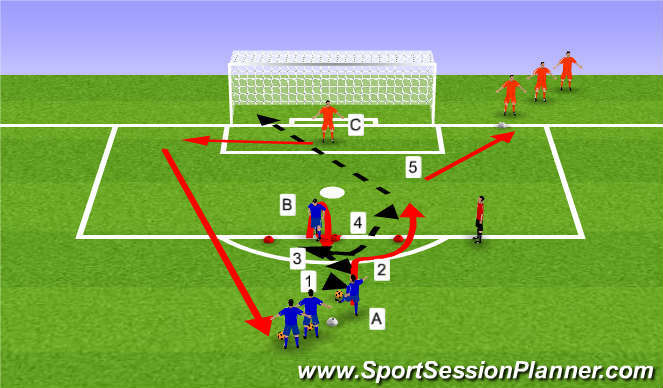 Player A starts on passing station, Player B starts on shooting station, Player C in goal. Player B takes the defender away & checks in as A plays into B feet. B returns ball to A, A plays into B again & makes a run around defenders. B plays a through ball between the defenders for A to shoot. A plays keeper 1v1. Keeper cannot use hands. A goes to C, B stays in for 10 reps & C retrives the ball and goes to A. 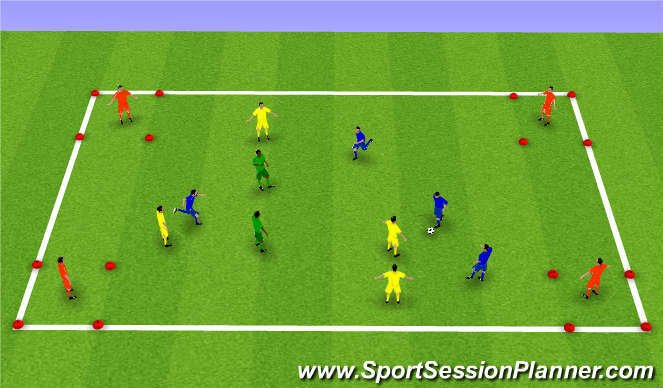 Coach watches for players to not run into an offside position before the ball is played. Variation: Left side, right side. Player B takes the defender away & checks in as A plays into B feet. B returns ball to A, shifts outside of the defender to make a run behind the defenders as A plays throughout ball. A plays keeper 1v1. Keeper cannot use hands. 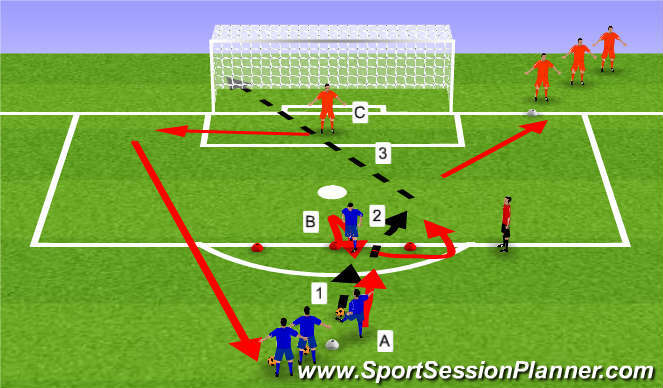 A goes to B, B goes to C & C retrives the ball and goes to A. 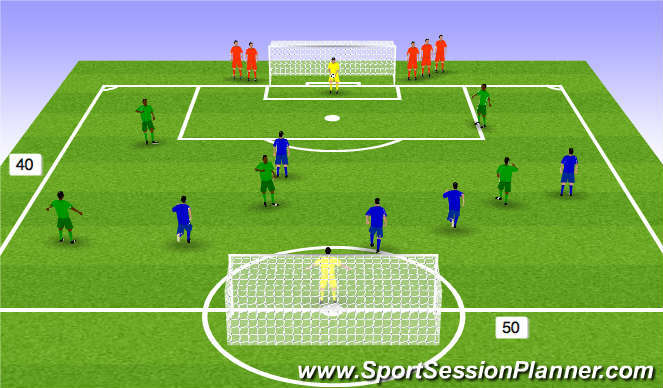 Coach watches for players to not run into an offside position before the ball is played.